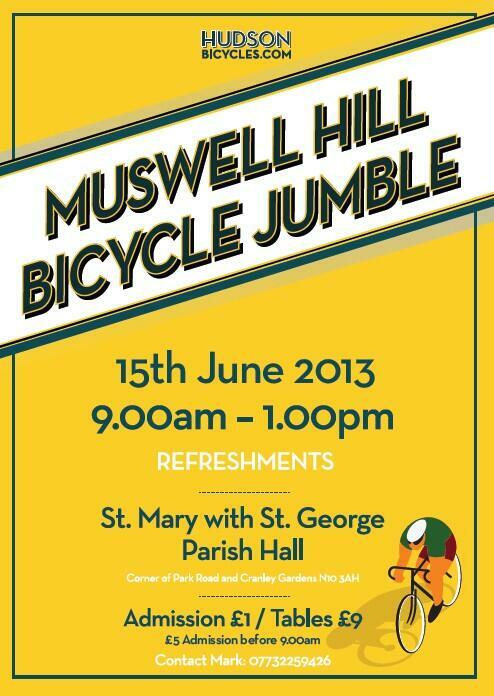 Support #space4cycling in Muswell Hill ward – Email TODAY! We’ve made progress with our Space for Cycling request for Muswell Hill ward… but it is now under threat. Only 1 of the 3 elected councillors for this ward support Space for Cycling. We need your help to send 1 very quick email of support. The proposal and drawings from Haringey Council officers include improving lighting and adding shared use signage. The deadline for responses is Friday 5th December. Please email your support to Frontline.consultation@haringey.gov.uk . We have been told by non Space for Cycling support Cllr Gail Engert she has a stack of emails objecting to the proposals. Making this path shared use was one of our Space for Cycling asks and it would be a a great route for local people, particularly children and anyone wanting to avoid Park Rd, particularly at night when Priory Park is closed. We think some of the responses against the proposals are quite reasonable e.g. keeping or reusing existing bollards is a good idea, also the proposed build out at South Park Rd may be bigger (and lose more car spaces) than necessary, but support in principle is essential, otherwise it won’t happen. Send a quick email today to Frontline.consultation@haringey.gov.uk and copy in mark.blake@haringey.gov.uk (supported Space for Cycling) and pippa.connor@haringey.gov.uk and gail.engert@haringey.gov.uk (neither of which supported Space for Cycling in their ward). It’s at the BOTTOM of Muswell Hill!